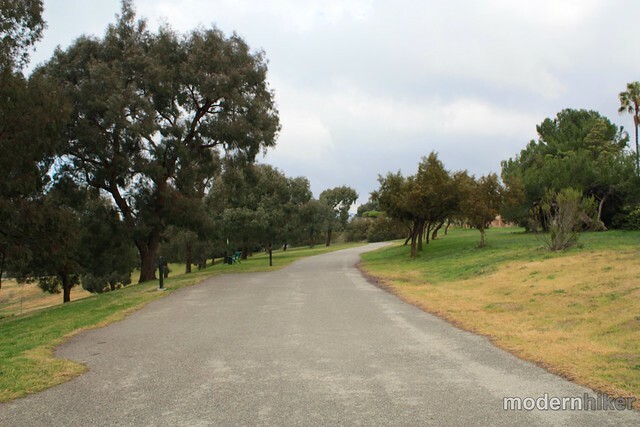 A lovely 2.6 mile loop in a park in the heart of L.A. sprawl. 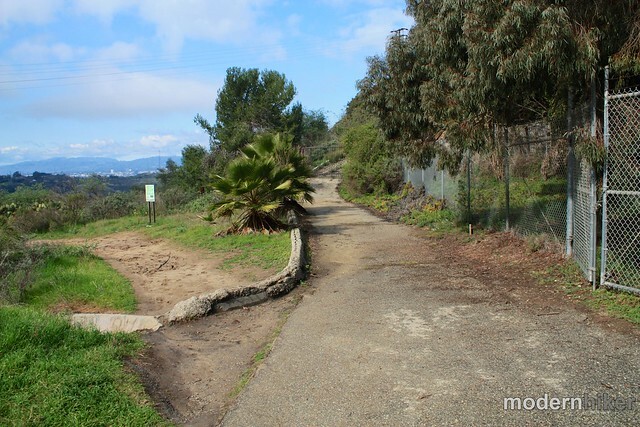 On clear days, this trail offers outstanding views of downtown, the San Gabriels, the Hollywood Hills, and beyond – and otherwise this park has wonderful bird-watching, surprisingly secluded and shaded trails, and lots of open green-space. 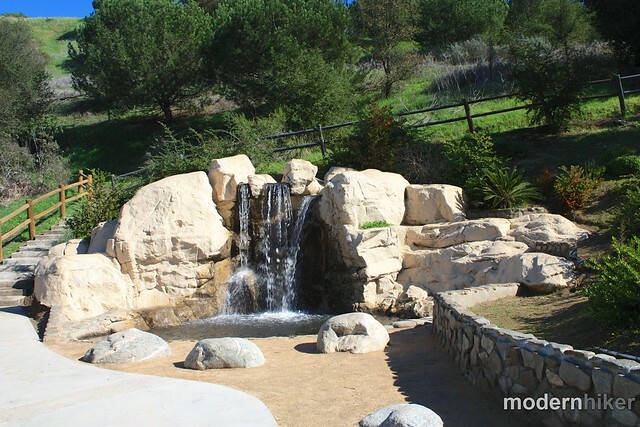 This is a great little park that deserves a visit, especially if your experience is limited to racing through it on your way to LAX. If you’re like me, you’ve driven through Kenneth Hahn State Recreation Area dozens and dozens of times on your way to catch a flight at LAX and never even considered actually going into the park. You see the La Cienega highway that runs through it (part of a thankfully aborted project to run freeway all the way north through Laurel Canyon) and the oil rigs at the Inglewood Oil Field and can’t even imagine why anyone would want to put a park there – and you’re doing yourself a great disservice. 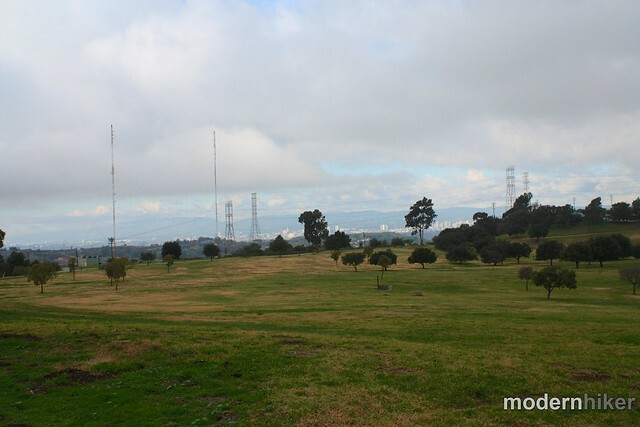 After you arrive in the upper lot, head toward the large open space known as Janice’s Green Valley. 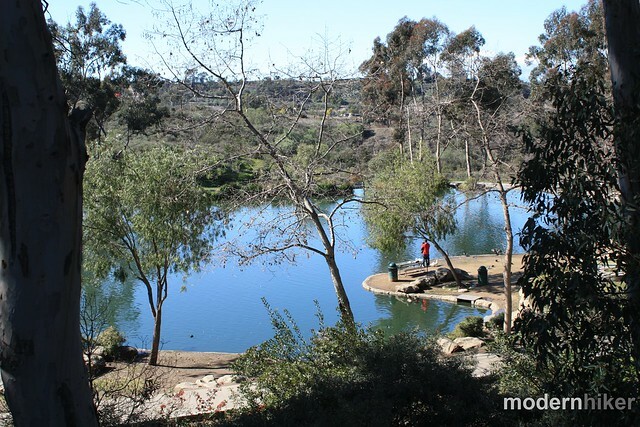 After being shocked at seeing what’s probably one of the largest – if not THE largest – open green spaces in Los Angeles, begin your hike on the path in a counterclockwise direction. 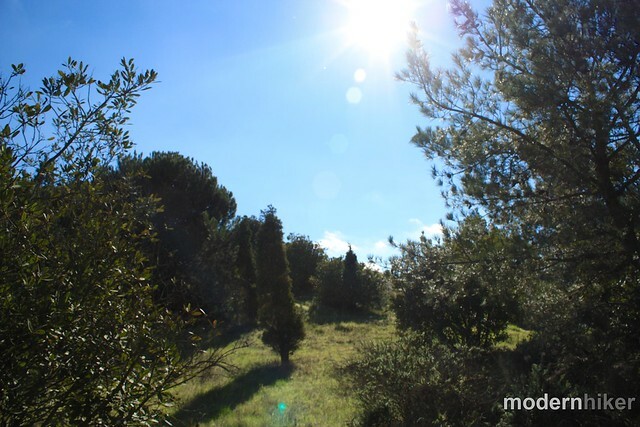 If you’re lucky, you’ll get enough quiet here to enjoy the birdsong that seems to fill the air. 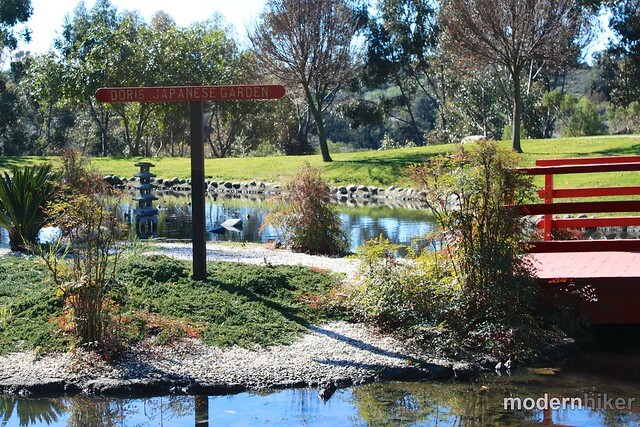 If you’re interested in our avian friends, the Los Angeles chapter of the Audubon Society hosts a free Birdwalk in this park on the third Saturday of every month (except for July and August). The walk lasts from 8 to 11:30AM and you can find more information on their web site. 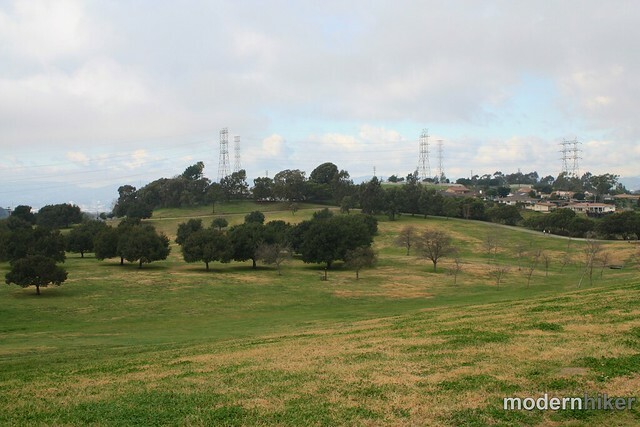 In about 0.3 miles, you’ll come across a plaque indicating this bucolic green space is the site of the former Baldwin Hills Reservoir, which dumped 292 million gallons of water into the neighborhood below in December of 1963, killing 5 and destroying or damaging nearly 300 homes. Continue past this marker until the 0.6 mile mark, where you’ll turn right onto the dirt Diane’s Trail. Keep left at the fork to avoid the locked gate for the radio towers and get ready to experience some really beautiful single track as the trail passes through large groves of prickly pears and eventually starts to open up to some great views northward. Now, it is true that for large sections of this hike, the Inglewood Oil Field will be visible. In some parts of the lower park, you’ll even be able to hear the machinery. So if that’s the sort of thing that’s going to completely ruin your day, you might not want to head to this park. 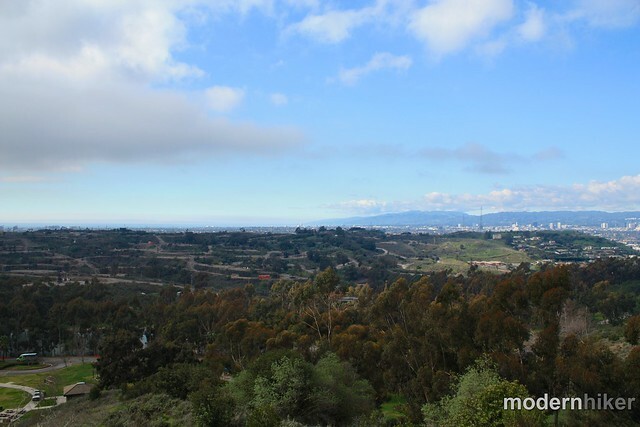 But if you can look past that grossness, you might be lucky enough to see the Santa Monica Mountains and the Pacific Ocean behind them. Continue until about 0.8 miles, where a marked but unsigned trail leaves the broader, more well-traveled Diane’s Trail. Take a sharp right onto this to join the City View Trail, even though it looks like it just leaves the park. 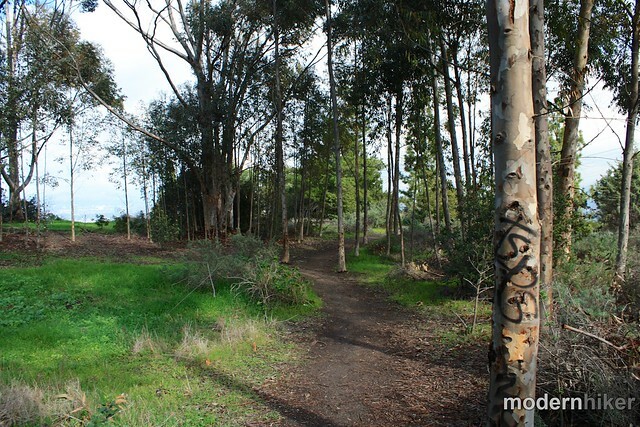 This short side-trail loops through some very nice, shaded areas with some small eucalyptus trees before tracing a ridge that really opens up with some spectacular views of the Hollywood Hills and San Gabriels to the north. At the 1.1 mile mark, the City View Trail meets back up with Diane’s Trail right near the Autumn’s Peak overlook area. 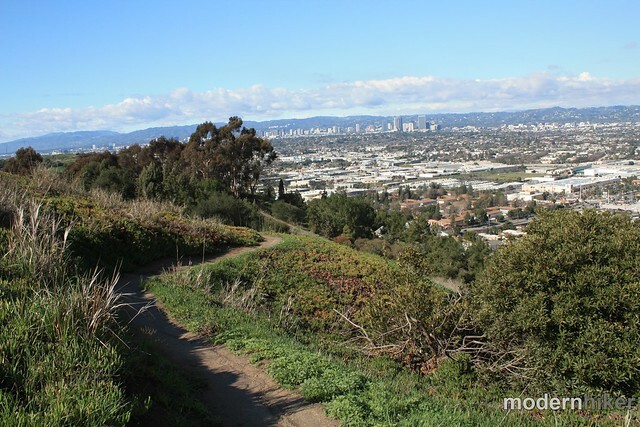 Stay on the City View Trail as it makes a short descent directly below Diane’s Trail and heads west toward another forested area – and make sure to enjoy the nearly panoramic views from here. At about the 1.2 mile mark, the City View Trail rejoins the main route in a large 5-way junction with several other trails and use-trails. Stay to the far right to descend on the Forest Trail, which wraps around the geography of the park’s northern section before turning south into a small Japanese garden with an artificial waterfall. 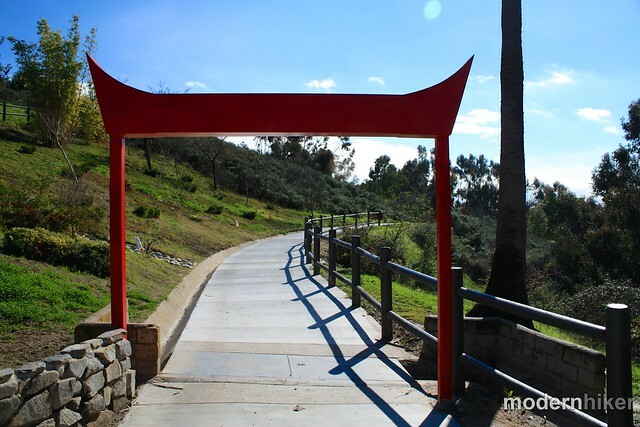 From here, go beneath the red gate and stay on the sidewalk as the path takes you into Doris’ Japanese Garden – a small but well-kept landscaped area that also appears to be a popular spot for wedding, prom, and quinceañera photos. Stroll through this area and continue along the roadway or look for a short parallel trail through the trees just to the east of the restrooms (look for a small brown bridge). From here, the Community Loop Trail continues on sidewalk and along the street back up to the parking lot, but if you’re intent on staying on trails there are a few use-trails and fire roads that will ascend from here back up to Diane’s Trail. 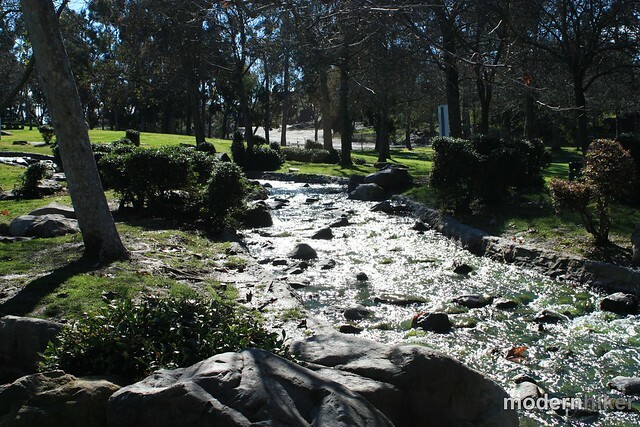 If you want to stay on the official route, continue along the park roads, walking through Gwen Moore Lake and along an artificial babbling brook. The water features may be man-made, but when I was there they were full of ducks, geese, and herons. 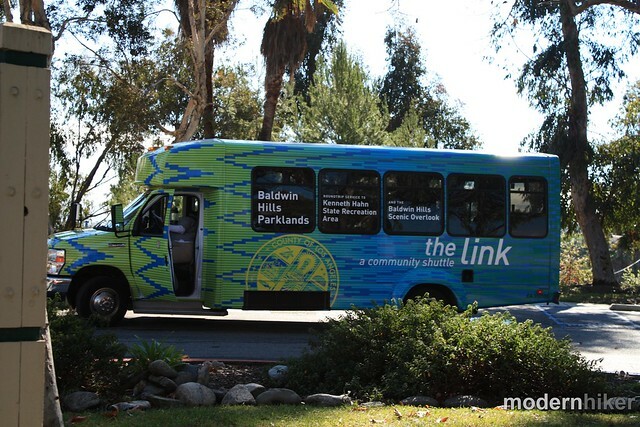 After the brook, the sidewalk will follow the main road up an incline back to Janice’s Green Valley and your car – or you can wait and hop on the shuttle back to the Expo line! Excellent. While some trail junctions are not clearly marked and there are a few use-trails not included on the official park map, this is a very easy park to navigate. From La Cienega Blvd, take the exit for the Kenneth Hahn State Recreation Area. In the park, continue driving past the playground, pond, and community center and up a hill to the parking area near Janice's Green Valley (you'll see some bathrooms and another pl(you'll see some bathrooms and another play / picnic area near the parking lot). 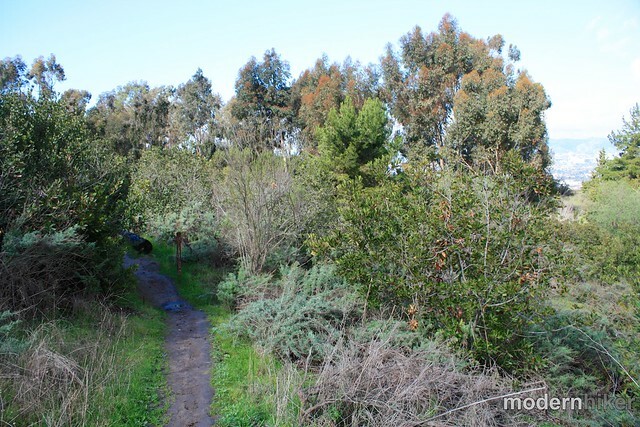 Park your car and head toward the Green Valley to begin the trail. Car entrance to the park costs $6 at time of writing. Transit accessible. As for Diane's Trail, I'm not certain if it's stroller friendly or not. My memory says it was a little rough and narrow and you might have some trouble getting a stroller in there, but I do know that some of those things are built like little SUVs these days! I’ve really enjoyed your posts over the years. I first came across your site when we got our dog who needs lots of exercise (and we lived in DTLA). 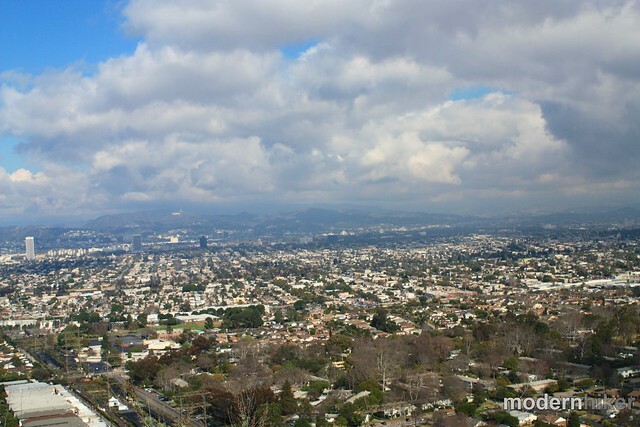 Now we have a baby and just moved to Windsor Hills which is walking distance to Kenneth Hahn. Question - would you consider Diane’s Trail stroller friendly? I can’t remember from when I went last. I was not thinking about babies or strollers then! Also, walk/bike entrance is easier on La Brea/Stocker, but yes, most of La Brea and Stocker don’t have sidewalks, probably bc the speed limit is higher than a typical street. 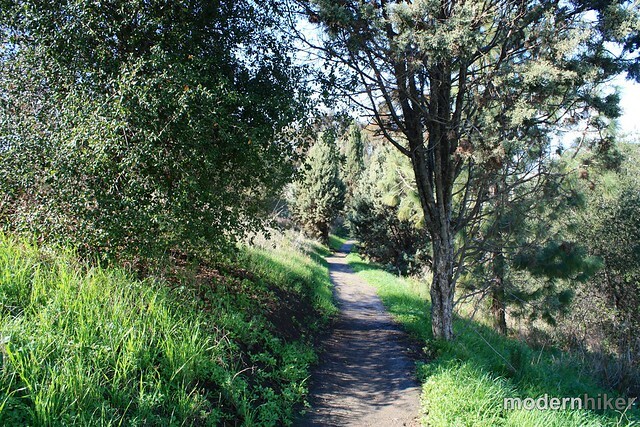 There is a short trail that follows Stocker from View Park neighborhood as well. And on weekends you can park for free at Norman O. Houston Park or the Stocker Corridor Trailhead lots. There IS a shuttle from the nearby Expo line stop, but you're right - it's tough to get into the park as a pedestrian or cyclist from the surrounding neighborhoods. Not sure whether that's a policy of the park itself or from the homeowners who live nearby, but it's worth looking into and letting either the park or the Neighborhood Council know how you feel! This park is messed up. The ONLY way to get here is by car. No access by bike or walk. Unless you want to walk on the NO sidewalk streets of La Cienega or La Brea. Horrible City Planning! 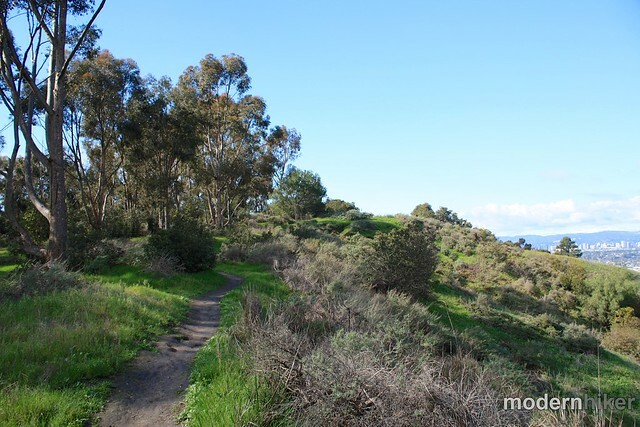 My blog post of a visit to Kenneth Hahn State Park, from last year. Ended up posting mostly pictures around the Japanese garden. The lotus were blooming. Main emphasis I would make is that, when you're heading south on La Cienega, it really is freeway-like, and the exit for the park will be on your RIGHT. I was expecting to just make a left into the park, so the ramp to the right was a sudden surprise. 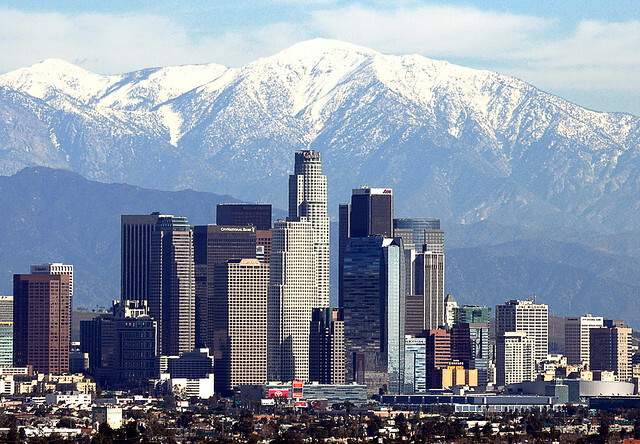 Yup.... those are some million-dollar views there, if the weather's right. 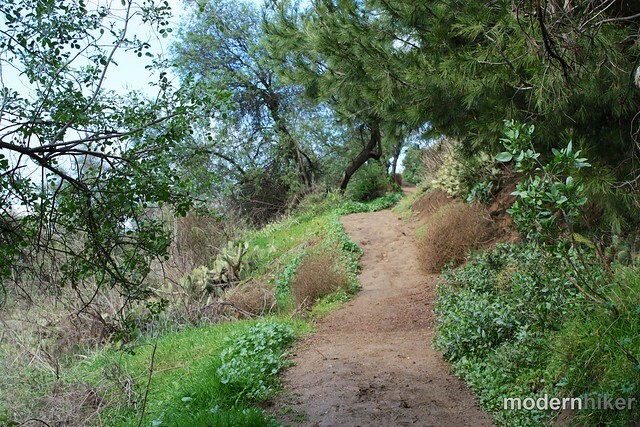 Oh-and the Baldwin Hills stairs around the corner are a must-see too. 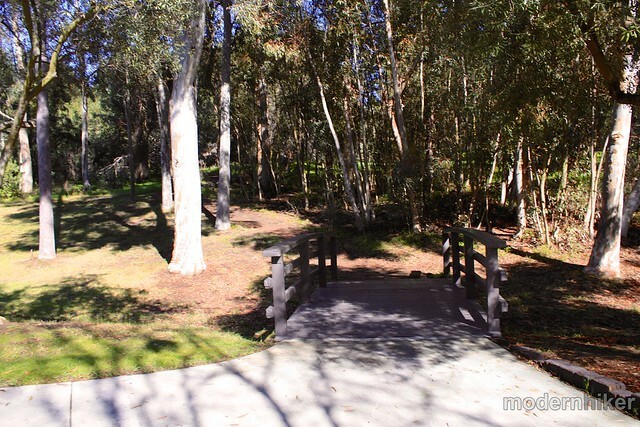 I love hiking in this park after work, as I live within walking distance (although getting there by walking is nearly impossible if you want to avoid getting hit by the traffic on La Cienega). 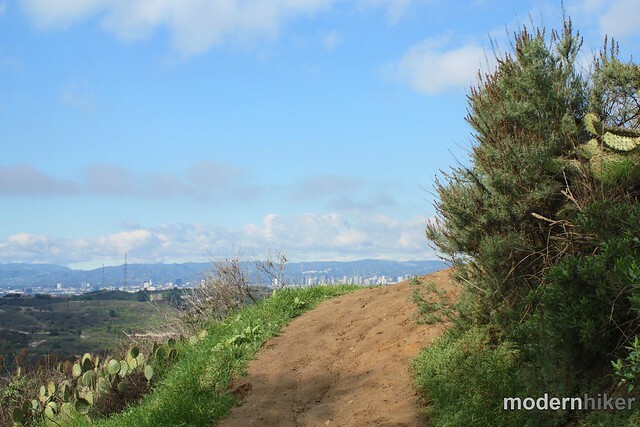 The views are gorgeous, and it's a great local spot away from the Hollywood Runyon Canyon types. 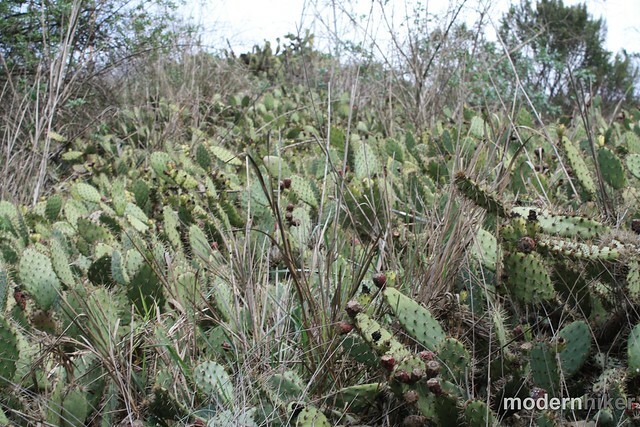 On a typical day here you'll see just your average neighbor or dog-owner hiking to get healthy or enjoy nature. I actually enjoy seeing the oil derricks, too, just for the sake of variety-where else can you see the ocean, oil fields, downtown LA, and a Japanese garden all in one hike? I also like that you can easily create your own adventure; once you get to know the park, the trails all sort of lead to the same places.